Dimensions 1 by 5.50 by 6 in. The starship Earthling, filled with thousands of hybernating colonists en route to a new world at Tau Ceti, is stranded beyond the solar system when the ship's three Organic Mental Cores - disembodied human brains that control the vessel's functions - go insane. An emergency skeleton crew sees only one chance for survival: to create an artificial consciousness in the Earthling's primary computer, which could guide them to their destination . . . or could destroy the human race. 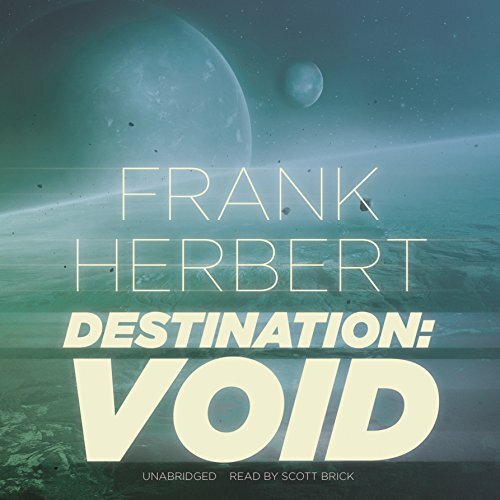 Destination: Void is Frank Herbert's classic novel that begins the epic ''Pandora Sequence'' (written with Bill Ransom.) The series includes The Jesus Incident, The Lazarus Effect, and The Ascension Factor.